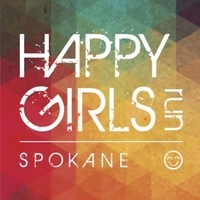 Don't miss out on the 6th Annual Happy Girls Run Spokane 2019! Participants can choose between the all women’s Half Marathon, 10k and 5k races. The race course weaves through the beautiful trails of the Riverside State Park and along the stunning Spokane River. Experience for yourself why Spokane is quickly becoming one of the running capitals of the United States. The trail run is fun for women from all lifestyles and fitness backgrounds and will include a mix of challenging trails, groomed paths and paved surfaces. Cross the finish line and enjoy the best post-run party with local beer, a Bendistillery cocktail and a fabulous gift bag. Grab your girls, design a team costume and test your strengths by signing-up for this part of the Happy Girls race series. We can't wait to see you in Spokane!